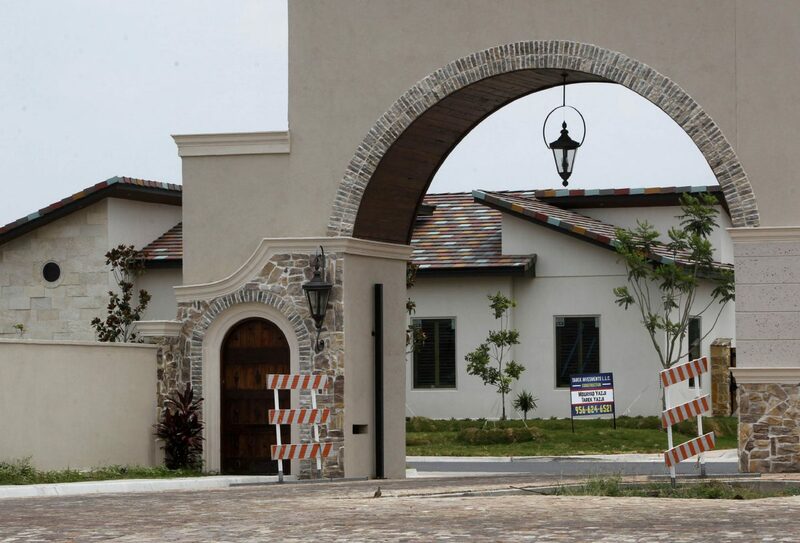 A new home sits behind a gate in The Embers subdivision Friday May 26, 2017 in north McAllen. Despite McAllen’s economy narrowing late last year, it has avoided declining wages that have plagued Texas border economies, according to a study from the Texas A&M Real Estate Center. McAllen has seen an uptick in homes sales, the study said, even though the number of monthly housing permits is down substantially. In first quarter 2017, El Paso’s housing permits jumped 47.7 percent as demand increased. The existing home months of inventory (MOI) in Brownsville and McAllen remains at 8.6 and 9.0 months, respectively. 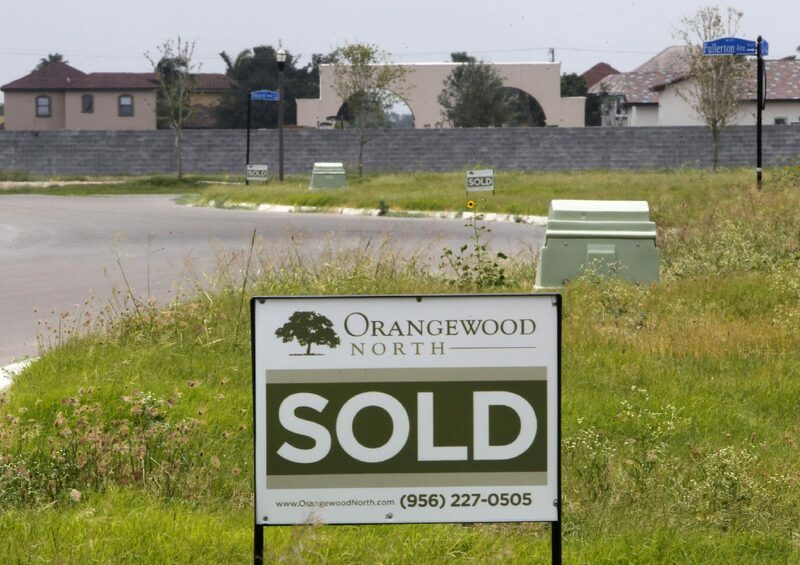 A sold sign marks a lot in the new Orangewood North subdivision Friday May 26, 2017 in McAllen. While wages have dropped in Brownsville and Laredo, McAllen has not suffered the same hit. Earnings have dropped 26.6 percent in Brownsville since 2012, according to the study. In the last year, Laredo earnings have fallen 8.8 percent. The peso devaluation is, of course, a big factor, considering border economies are in many ways intertwined with both sides of the Rio Grande.